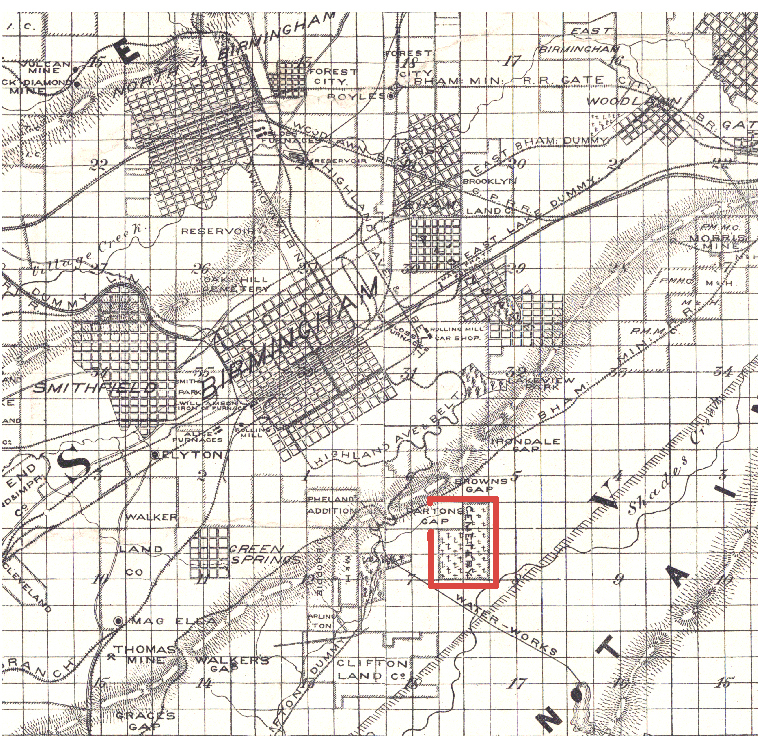 Red Mountain Cemetery (map), sometimes called Southside Cemetery, was used by the City of Birmingham from 1888 to 1906 as a place to bury the indigent dead. The cemetery contains 4,711 burials and was located south of the city on the site that is now Lane Park and the Birmingham Zoo. The graves were not removed, but decades after the cemetery ceased to be used, the park and zoo were built over the graves. The interment book for Red Mountain Cemetery is now preserved in the Archives of the Birmingham Public Library. This database, compiled by Gary Gerlach, a former volunteer in the Archives, includes all information found in the original interment book, including names, dates of death, and causes of death. The original interment book (book guide) is fragile and it is not possible to make copies from this book. In addition to burials recorded in the book, there are several loose pages that also record burials. The asterisks indicate burials listed on those pages.